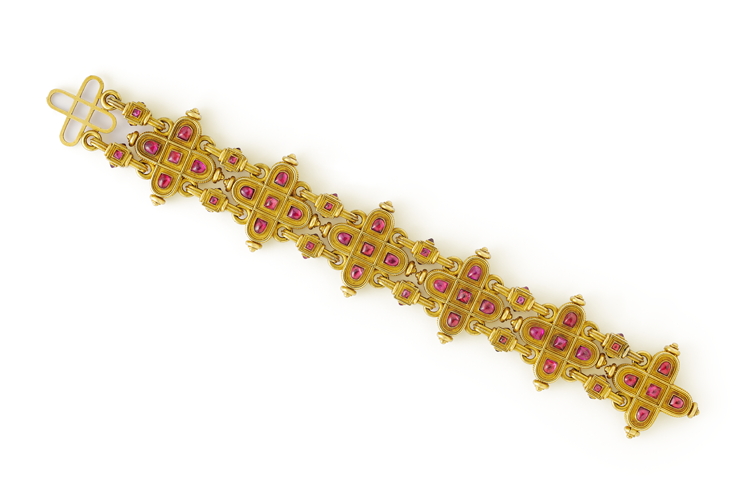 The yellow gold bracelet in the fifteenth century taste mounted with cabochon rubies. 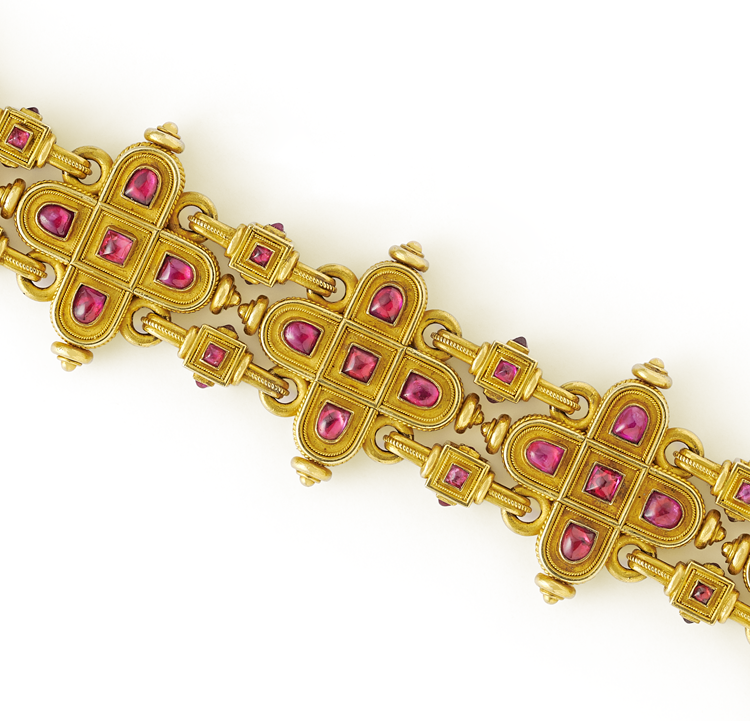 The bracelet appears on a sheet of jewellery designs believed to be dated 1862 when Alessandro Castellani was still in Paris, two years after being exiled to France in 1860. He had brought with him a selection of 205 pieces with which he hoped to promote the family business. He met with considerable success and succeeded in meeting Napoleon III as well as Rossini and distinguished members of Parisian high society. 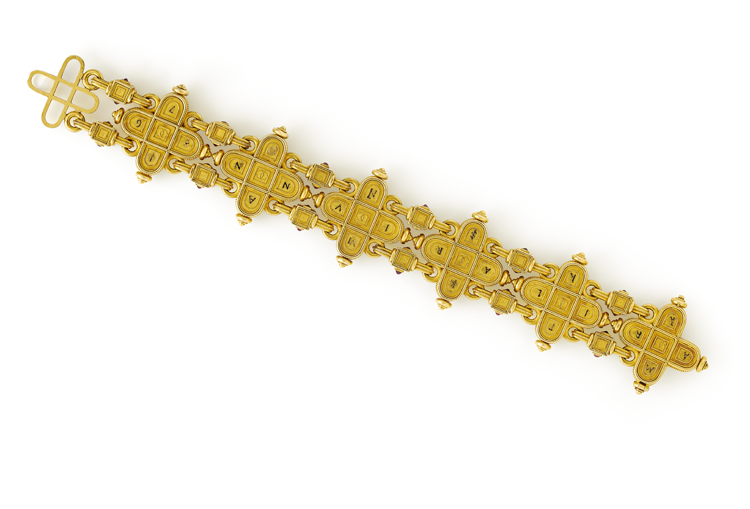 Prices next to the illustrated designs are quoted in Francs, and the annotation accompanying this particular bracelet, featured as no.10 of 16 jewels, translates as ‘Gem set bracelet in the fifteenth century taste 2500 francs’. 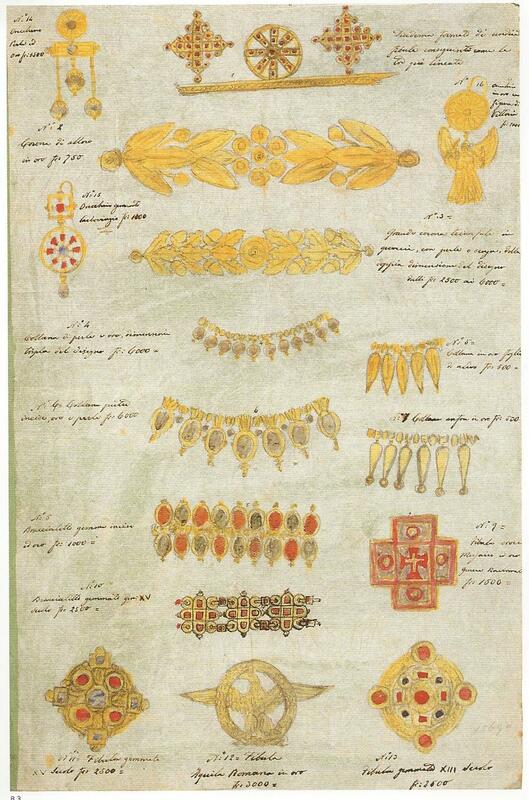 The sheet is contained in the first album of two bequeathed by Alfredo Castellani to the Museo Artistico Industriale in Rome in 1930.